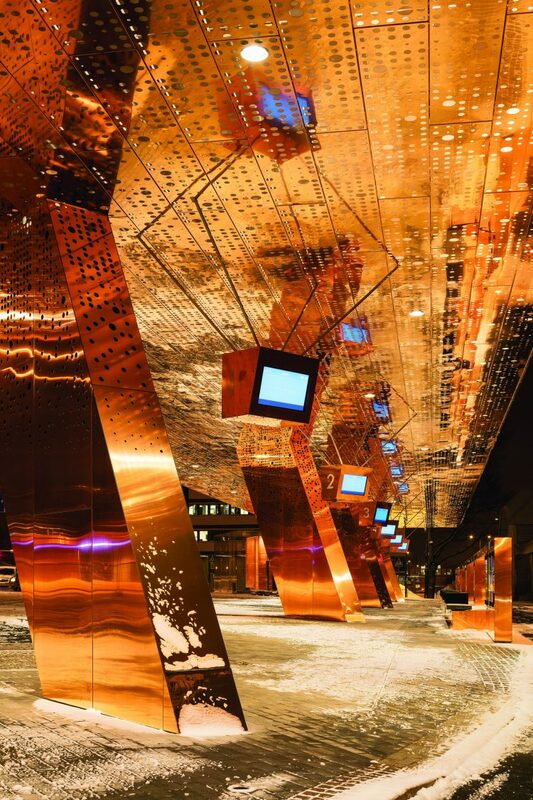 Bus and rail shelters are rarely seen as works of art but the copper-clad shelter for a new road-rail intersection in Lahti, Finland, is something of a metal masterpiece. 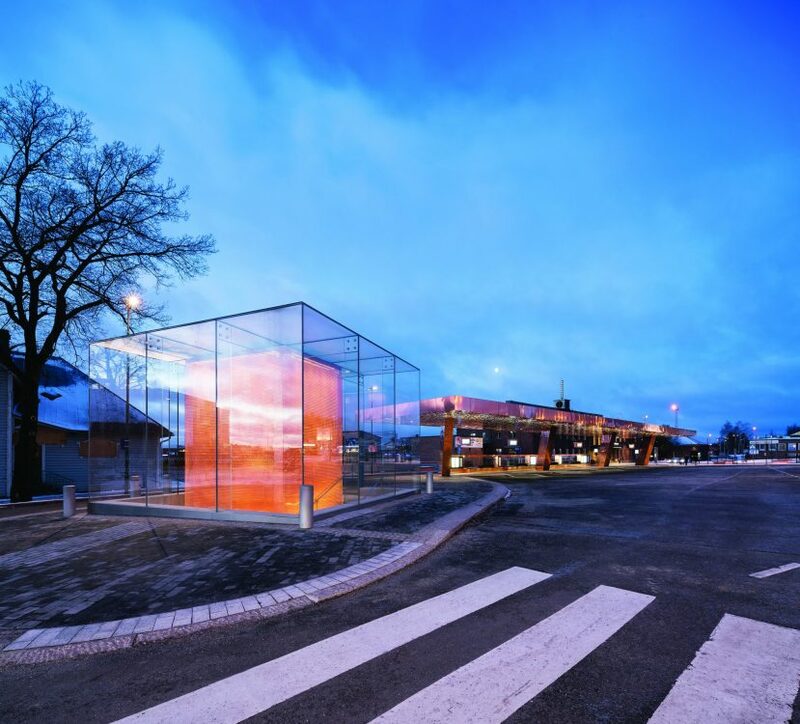 What if the bus stop was actually the destination? 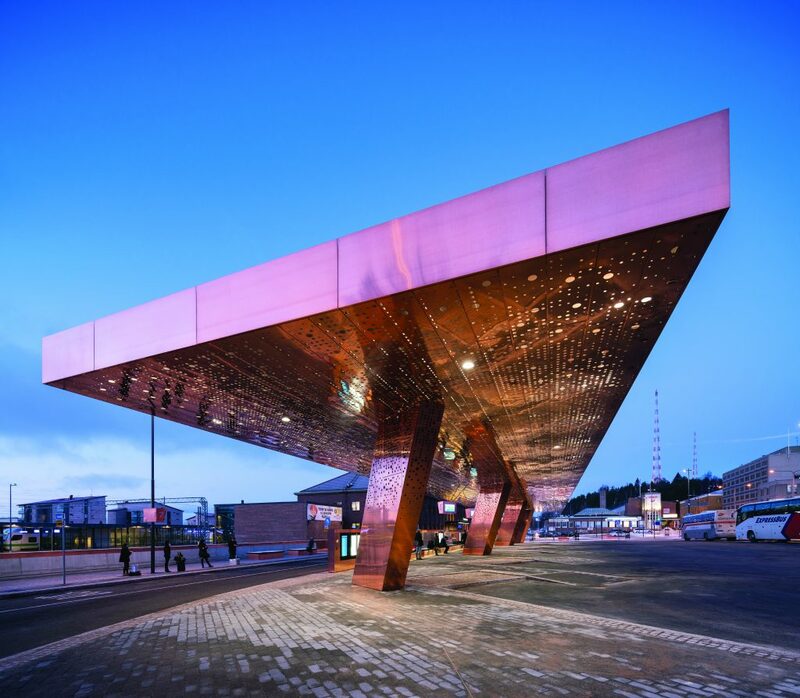 That’s what Finnish firm JKMM Architects envisaged when they created the new Travel Centre in Lahti, a shining copper structure helping passengers transition between the city’s road and rail transport. 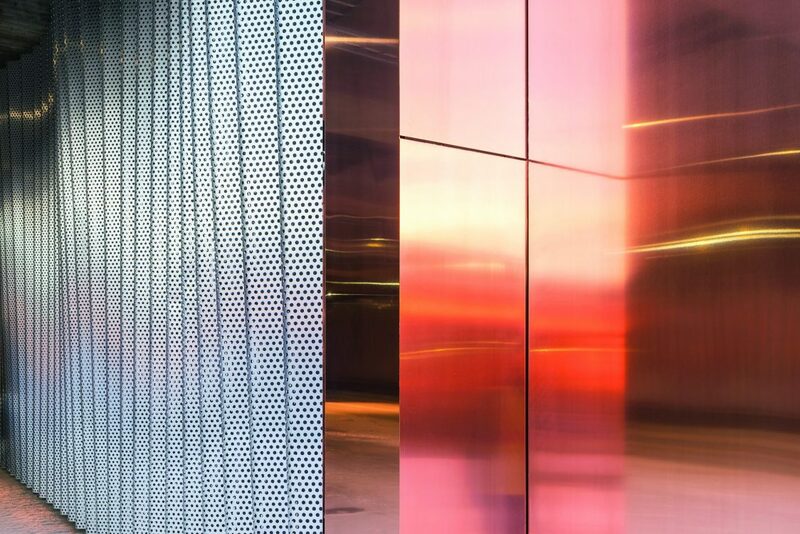 Surely there is no better way to mark an arrival into a place than by creating a noteworthy structure ­– first impressions last. 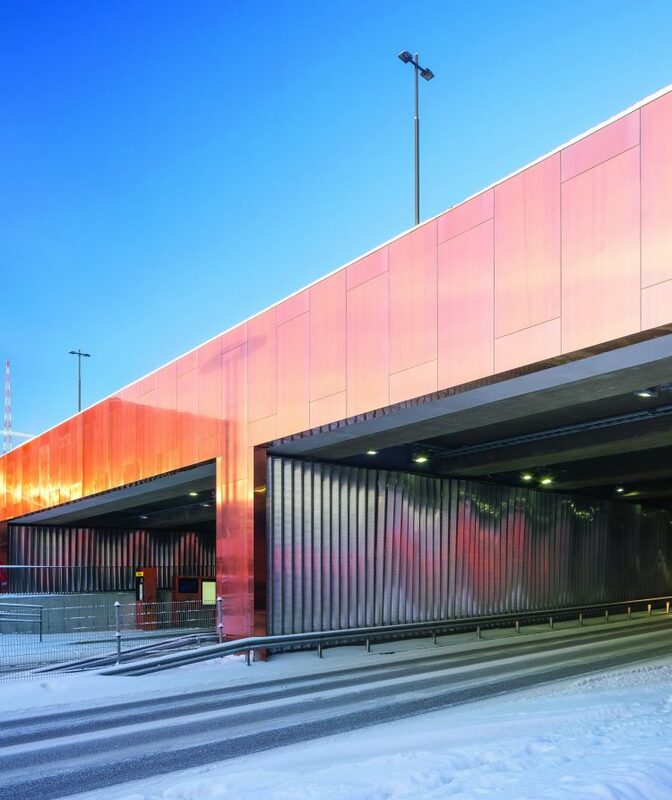 Both local and bus lines set off from beneath the stunning 60 m-long canopy and the waiting area is connected to the long-distance bus terminal by lifts and stairs in three towers. 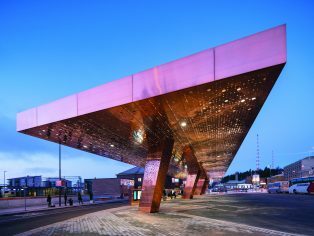 The centre also includes three local bus stop shelters at street level and an 80 m tunnel beneath, for which the designers created cladding. 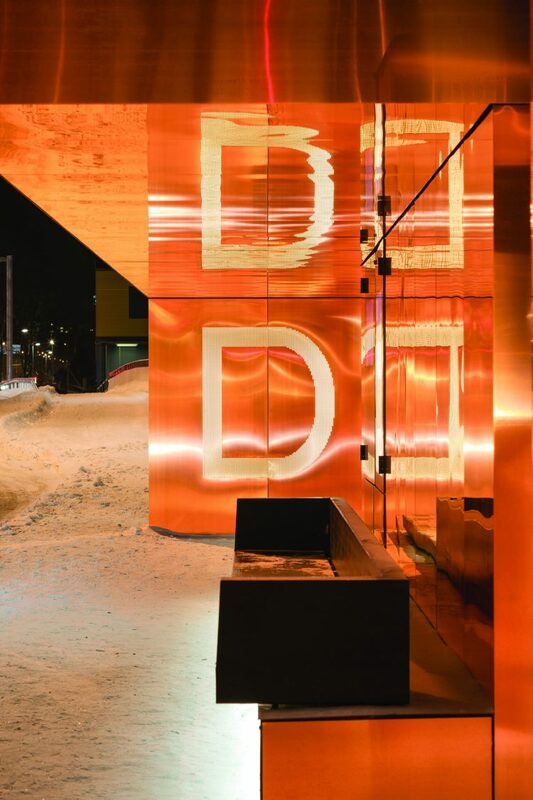 The travel centre connects visually with the station, which is protected by Finland’s ‘National Board of Antiquities’. 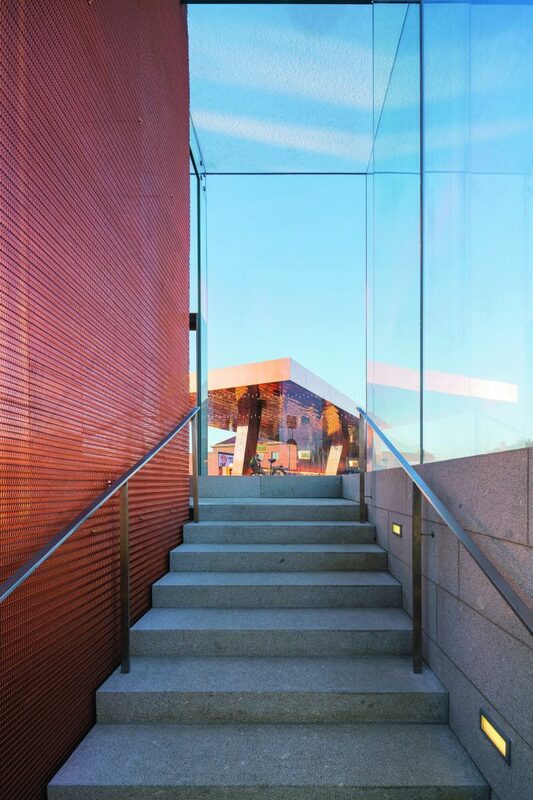 The two structures are carefully thought out and minimalist in their own right; they are also both red, with the railway station built in 1935 as a brick structure designed by architect Thure Hellström from the VR Group.